The next season of HBO’s Big Little Lies officially premieres on June 9. 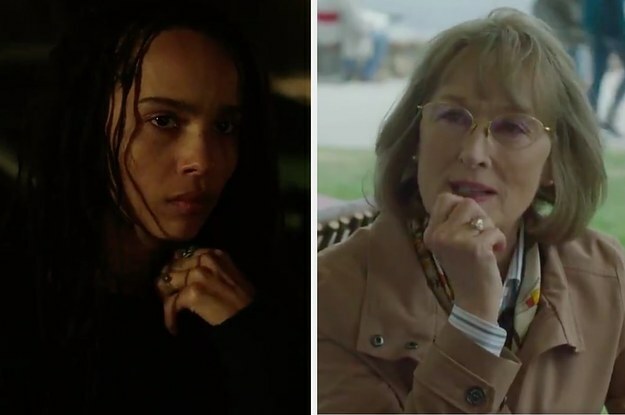 HBO on Sunday released a new teaser for the upcoming second season of its Emmy-winning series Big Little Lies — and revealed that the show will officially premiere on June 9. The trailer immediately shows that the women are having trouble adjusting to their new lives as possible suspects in the death of Perry Wright, played by Alexander Skarsgård, who was Celeste’s abusive husband. A newcomer to the cast, the inimitable three-time Oscar-winning actor Meryl Streep — who plays Perry’s mom, Mary Louise Wright — shines in the teaser. “My son is dead,” she says to Reese Witherspoon, who plays Madeline Martha Mackenzie. Streep was so eager to join the hit show she signed on without looking at a script. Zoë Kravitz (Bonnie Carlson), Shailene Woodley (Jane Chapman), and Laura Dern (Renata Klein) will be returning for the upcoming season. Both Kidman and Witherspoon will executive produce the show with David E. Kelly, and the series will be directed by Andrea Arnold, a departure from Jean-Marc Vallée, who helmed the first season.